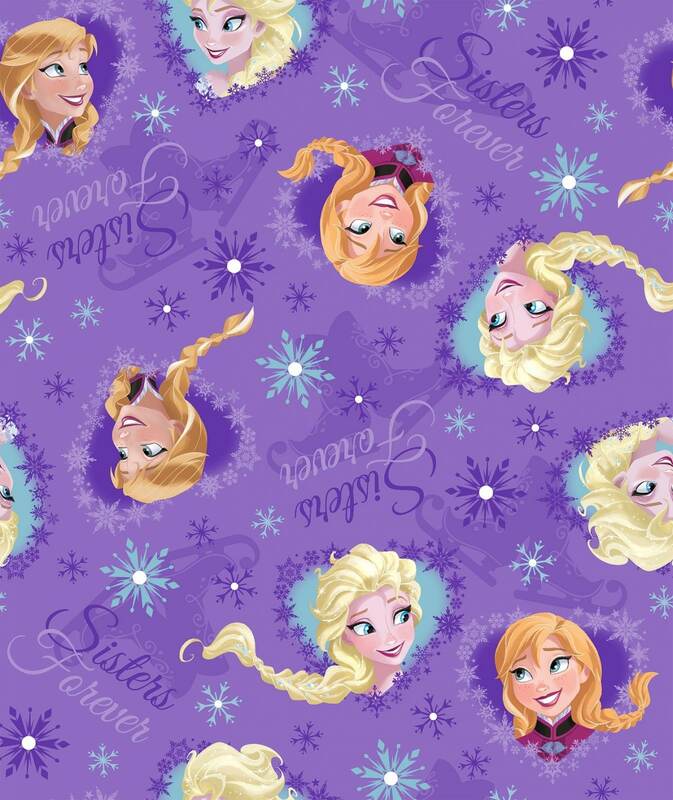 A timeless Frozen fabric, a fabric every little girl deserves. Beautiful shades of purple, blue, yellow, gold and lavendar. Adorn your little princess bedroom with this wonderful fabric. A nice cotton 44 inches wide. All fabric from The Quilted Nursery is cut directly from the bolt in continuous yardage. We also offer fractional yardage cuts for your shopping convenience. All fabric is shipped in 24 hours except for Sunday and holidays.